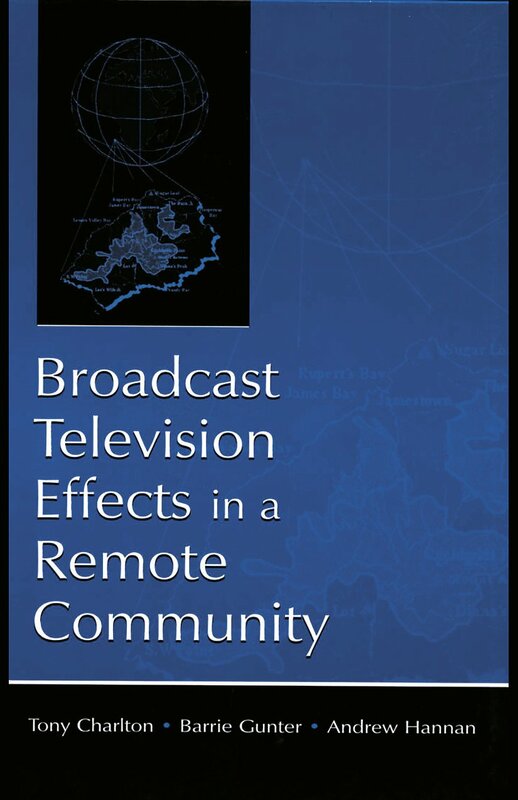 This book reports findings from a major, multidisciplinary study of the impact of broadcast television on the remote island community of St. Helena in the South Atlantic Ocean. Broadcast television was introduced to the island for the first time in March 1995. This introduction represented a major event on the island, whose only televisual experience had been through video. In the years leading up to the introduction of TV, the researchers who wrote this book collected data by observing the island's young children in classroom settings, and during free-play. In addition to these observations they asked the children's teachers to rate their students' behavior, and invited the children to explain to them what leisure time activities they engaged in. With the data they were able to amass on these key variables they have assembled and coded the results into baseline measures central to the study. Once TV had arrived, they collected data annually on the key dependent measures to determine if the introduction of broadcast TV had any discernible influence on the behavior of the children. "…this provacative, naturalistic study by a multidisciplinary trio of British scholars seriously challenges the prevailing American dogma….Broadcast Television offers compelling documentation for this conditional percept that has the potential to mitigate television's culpability by arguing that the atmosphere of an uncoordinated neighborhood watch on the island tempered the lure to indulge in antisocial acts." Contents: P. Lawrence, Foreword. Preface. T. Charlton, B. Gunter, Background of the Research Project. A.H. Schulenburg, "They Are as if a Family": Community and Informal Social Controls on St. Helena. B. Gunter, The Nature of Television Output. A. Hannan, The Impact of Television on Children's Leisure. B. Gunter, C. Panting, T. Charlton, D. Coles, Relationships Between Children's Viewing Patterns and Social Behavior. T. Charlton, R. Davie, B. Gunter, C. Thomas, Children's Social Behavior Before and After the Availability of Broadcast Television: Findings From Three Studies in a Naturalistic Setting. B. Gunter, T. Charlton, D. Charlton, Where Next?